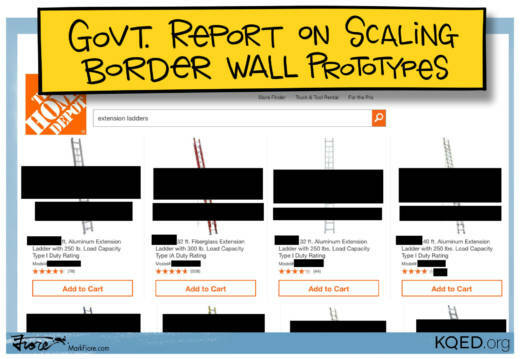 Every single border wall mock-up can be breached, according to a government report, and the section on scaling the prototypes was almost entirely redacted. Contrary to the vision of a "not penetrable" border wall, the prototypes didn't fare so well when they were put to the test. Even though Trump administration officials touted the strength and impassibility of the barriers, a Freedom of Information Act request filed by KPBS revealed a very different story.